How I Plan Content For My Blog. Keep a journal full of ideas. I’ve been doing this ever since I started blogging because it’s often my go-to place for inspiration of what to write next. I keep a journal full of lists in different categories, pictures and cut-outs – even titles that I thought sounded catchy! It’s very much like a Pinterest board in book form. Decide whether you prefer a digital or paper method of organisation. 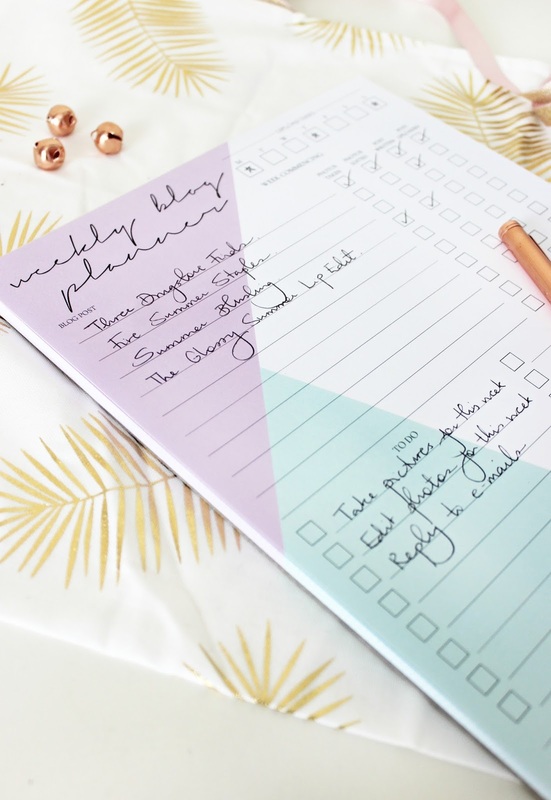 I prefer paper myself (I’ve always been a stationery kinda girl), so these beautiful blog planner pads from Paper Chic Co are perfect for me! 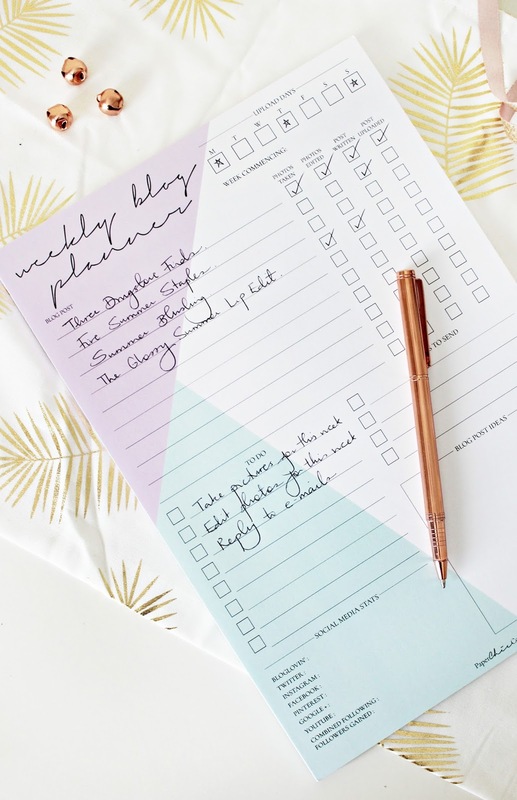 The site has stationery specifically designed for bloggers and content creators to keep tabs on all they’ve got going on, so I’ve bought several different notepads which helps me plan for each week. Designate one session a week for photography. This usually works for me. I spend a while arranging the objects I want to photograph and then snap away. I need about six photographs that I’m happy with for three different posts a week, plus Instagram shots so it takes time to get it right. Usually this is the hardest part of planning a post, but it’s the most satisfying to get done! I’ve been doing this one more and more lately so that I don’t forget the different projects I’m working on/planning. List making is something I’ve always loved to do, but recently, I’ve been keeping a list of products that I’ve been sent or that I’m trying out to review so that I can make sure each post is up on time. That’s another reason I love the planner from Paper Chic Co, because there’s plenty of room to keep note of these things! I’ve been finding this one tricky lately because I’m so caught up in planning the wedding, but I usually schedule each post well in advance so I don’t need to worry about posting on time. It takes the stress of uploading away, and you are able to choose the exact date and time that the post goes up. I’ve found this tip super useful when this get a little hectic! What are your top tips for planning blog content? Previous Post Three Drugstore Finds. Next Post My Lazy Weekend Favourites.